Severn Communications | Making ‘the local’ My Local:a must-visit events venue with its own personality. Stonegate Pub Company, a leading hospitality and pub group with over 620 pubs and bars across the UK in a variety of formats, needed to provide a flexible and cost-effective way for local pubs within the its network to promote a wide range of events and activities, whilst maintaining the unique personality of each individual venue. Severn created an eye-catching poster template suite for individual pub call-out, personalised according to pub name, event date and time. Whilst deliberately different in colour and font usage, the poster templates maintained a brand commonality, still allowing the character of each local pub to shine through. 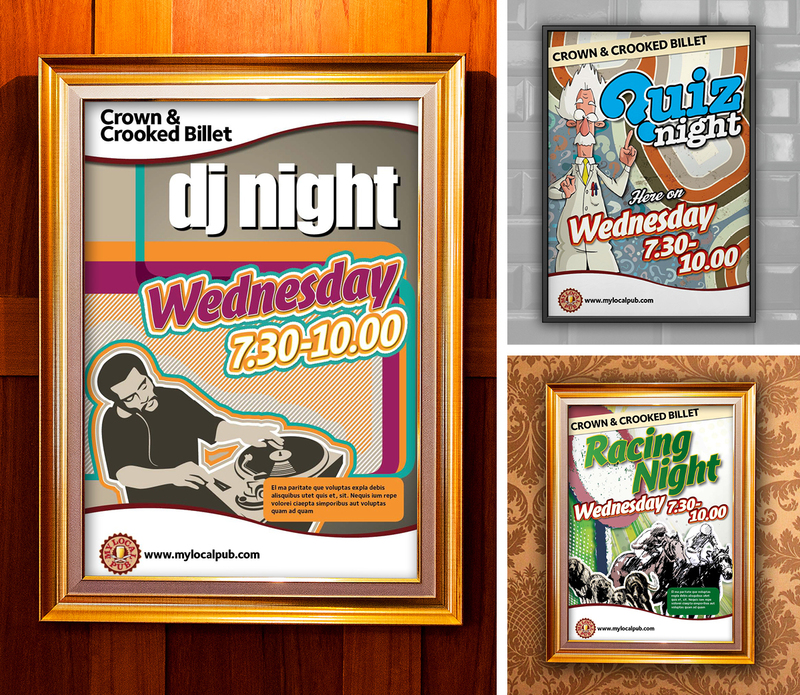 ‘My Local’ templates were widely used across UK pubs, providing an effective and budget-friendly means of event promotion.